Description: Our book printing service gives you A6 hardback books printed with a full colour gloss laminated cover and black and white inner pages. Our hardback books are printed on eco-friendly paper from sustainable sources. Our prices include FREE delivery within 12 working days to one UK address excluding Highland and Islands and there is no charge for debit or credit cards. For deliveries to Highland and Islands please call for a price that includes delivery to these locations. 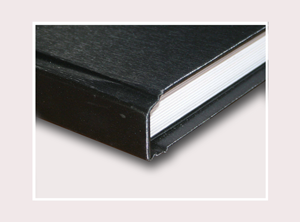 If you need your hardback book printing sooner, contact us to discuss a quicker delivery time.